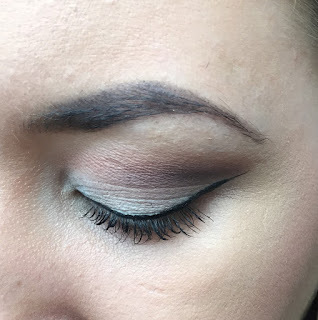 Today I will be going through how I created this look! Loral Lumi Magic fondation - I applied this with a foundation brush to achieve a medium coverage, I used a foundation brush (brand unknown) and it blended well! MUA blusher - Applied with the xo beauty medium dome face brush starting from tom of the cheek bones and swirling down the the "apples of the cheek"
Morphe individual shadows - I applied Porcelain on the entire lid, however focused on the lower lid so it stands out agains the dark shadows. I then applied Deep Skin on the crease line blending inwards slightly and brought it out to just past where my eye ends. I did the same with Bridesmaid but didn't bring it inwards as much. Deep Cocoa was applied just on the outer crease to create some depth. I was really happy with this look! Whats your favourite look? I might try it out!